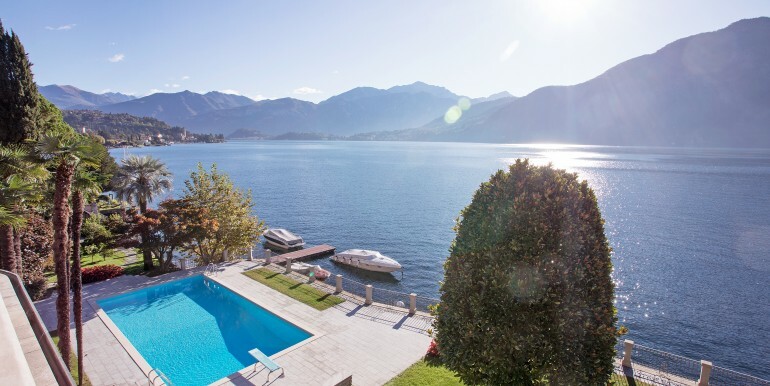 Lakeside home set in large grounds, 180 degree lake views, private boat mooring. 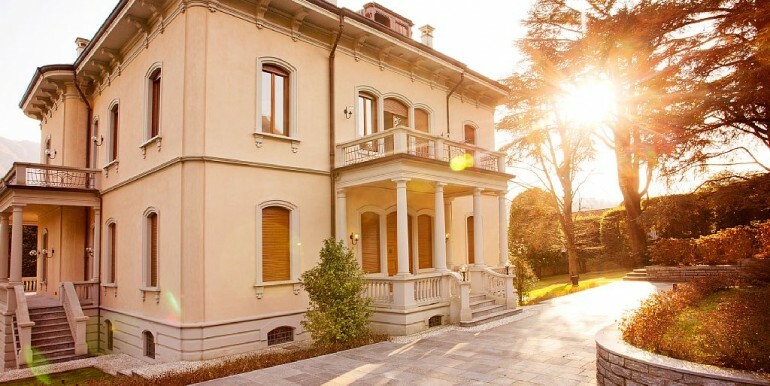 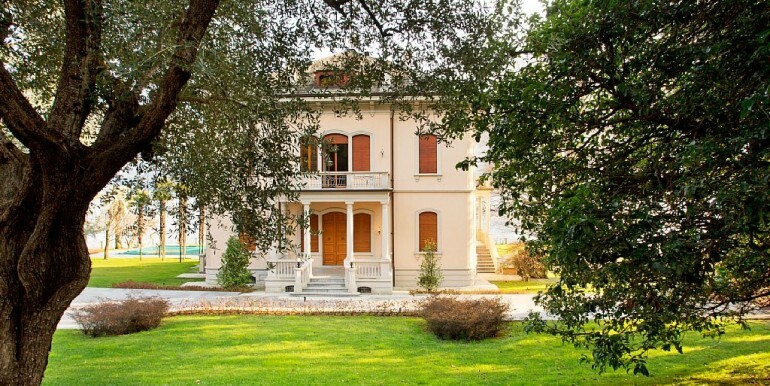 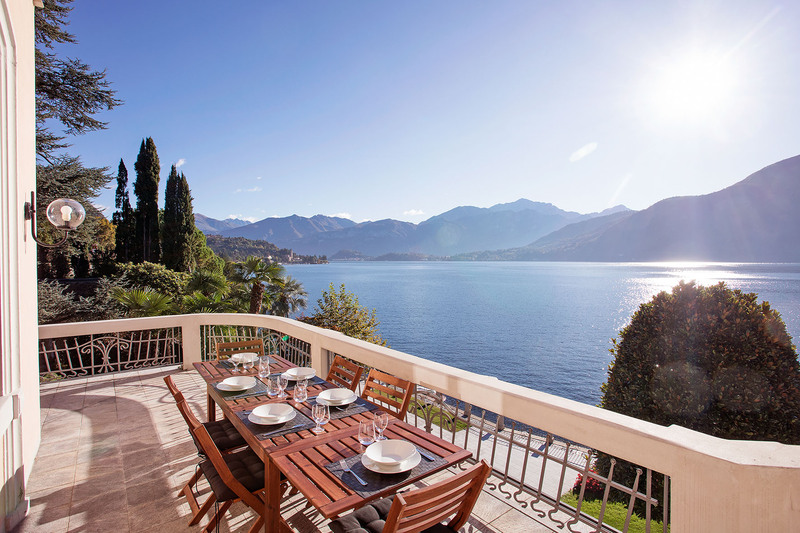 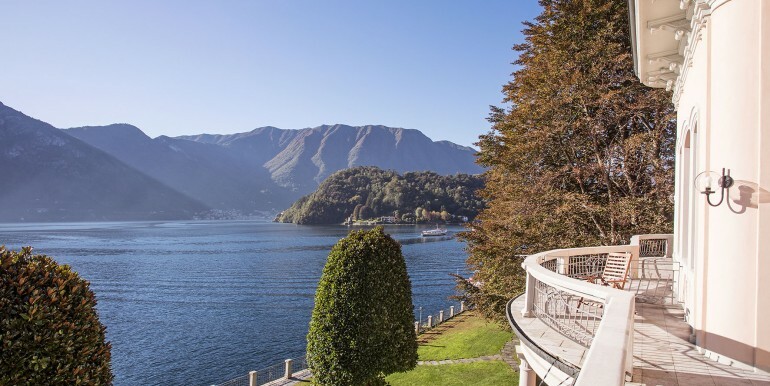 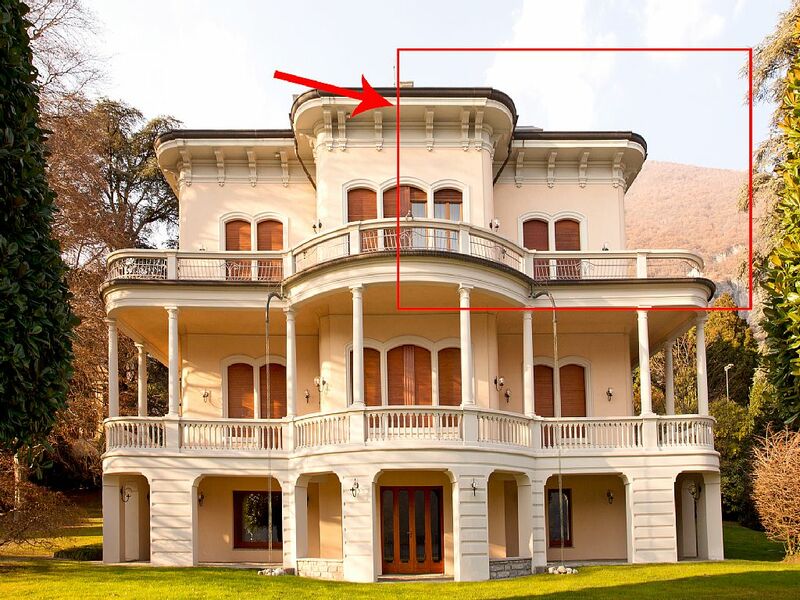 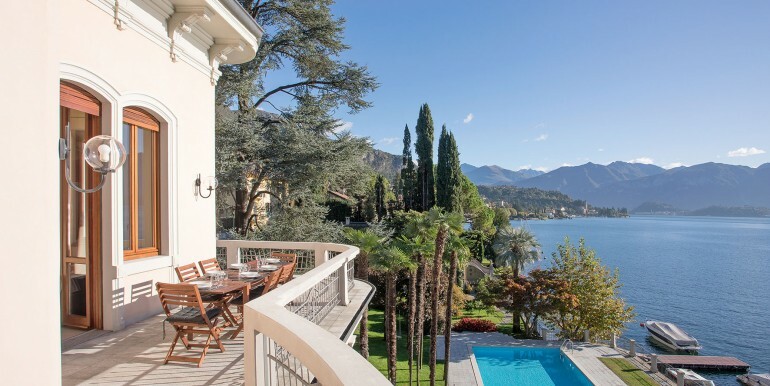 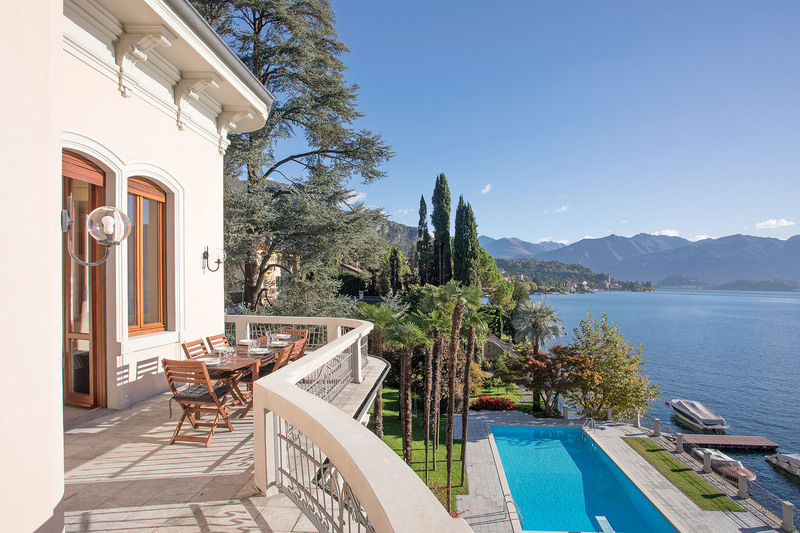 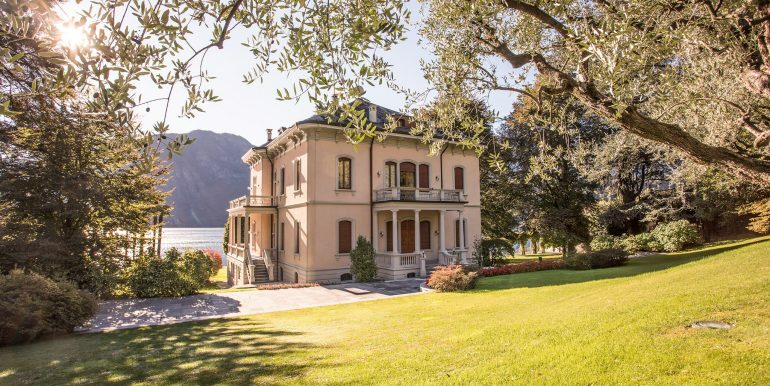 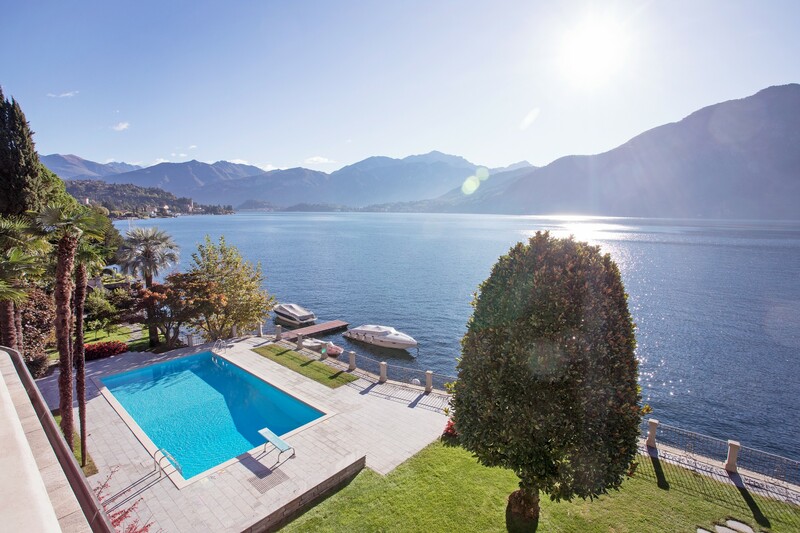 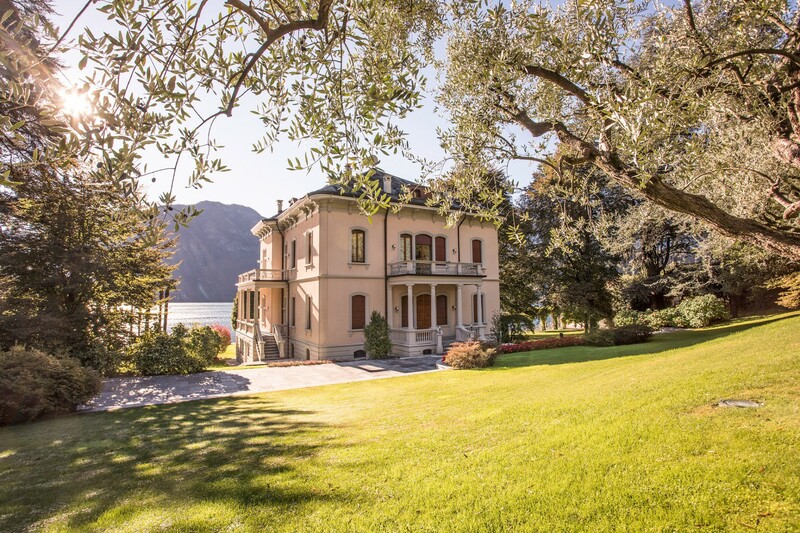 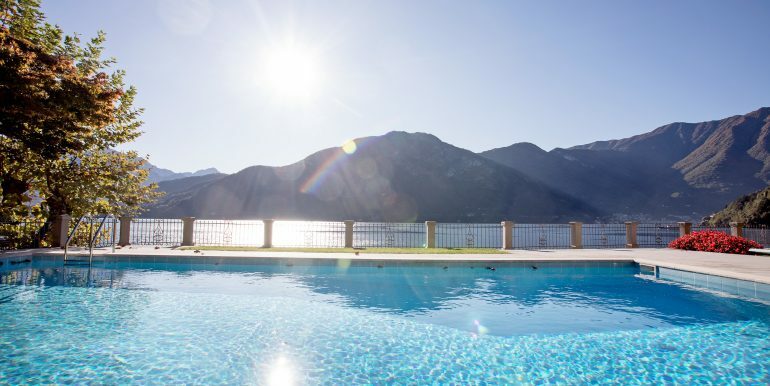 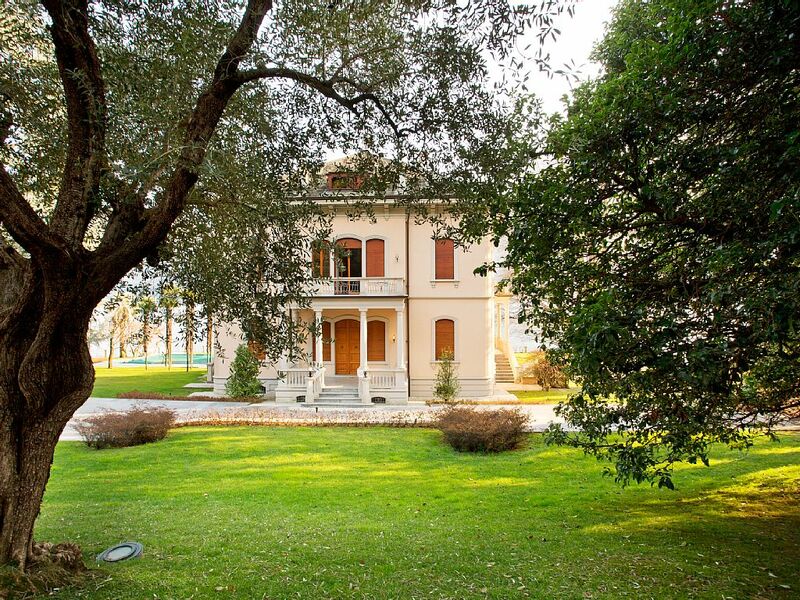 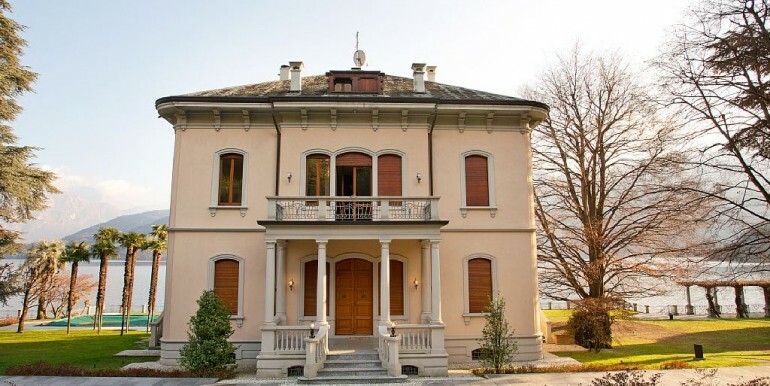 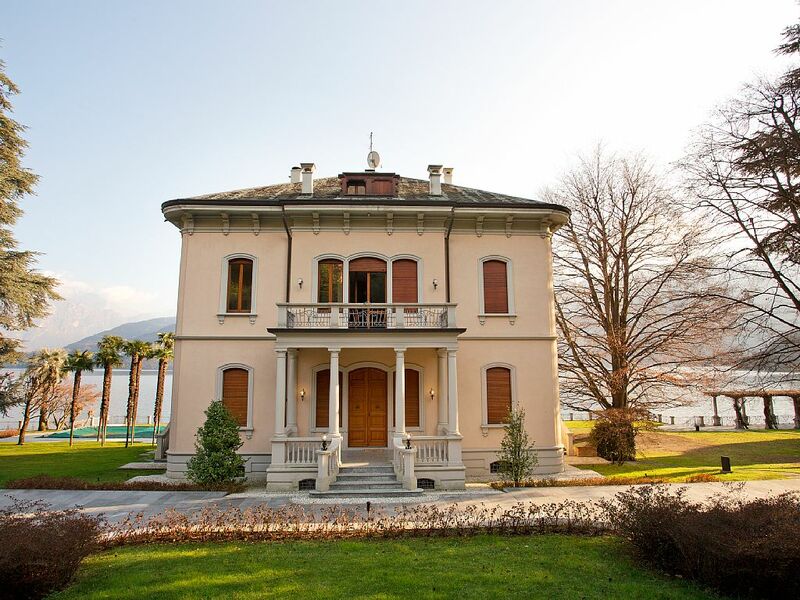 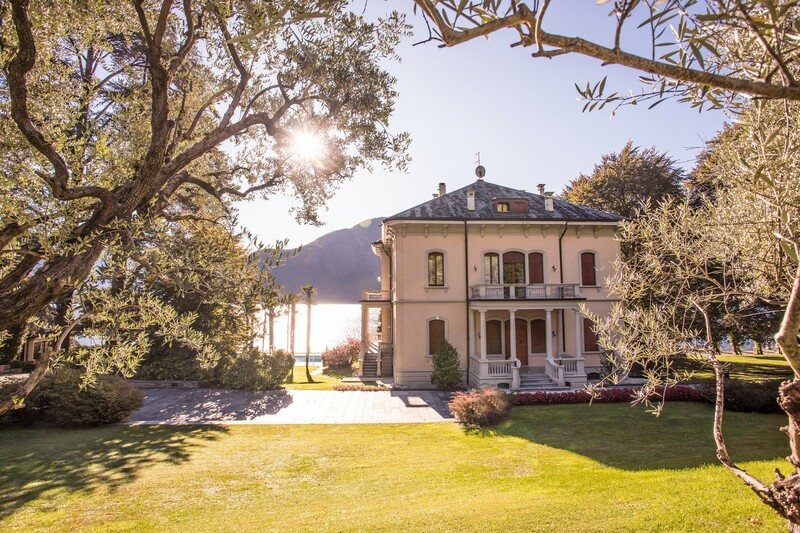 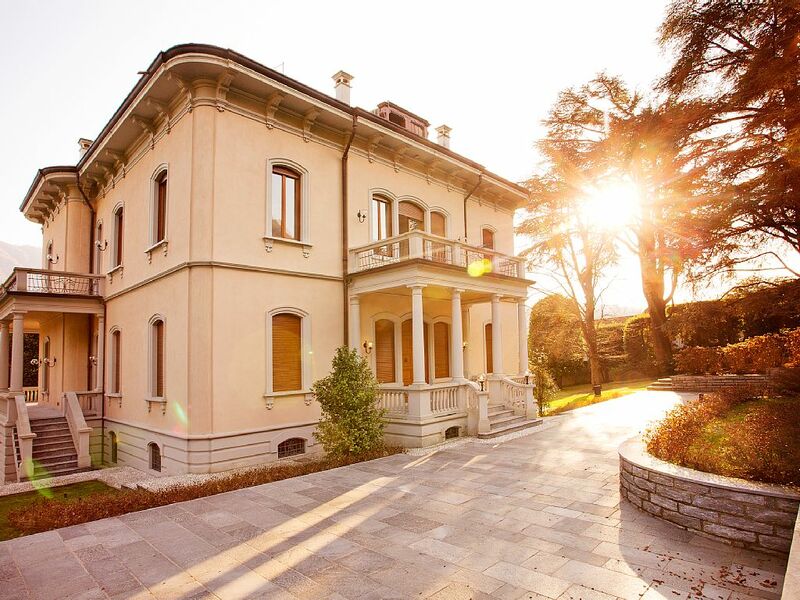 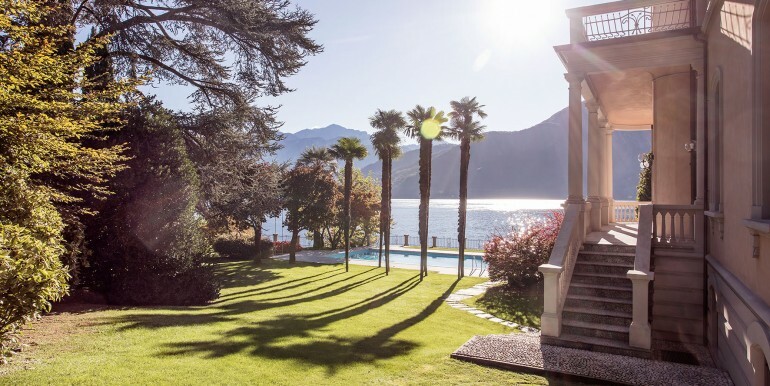 A beautiful executive home located within a period villa sitting right on the shores of Lake Como boasting majestic lake and mountain views. 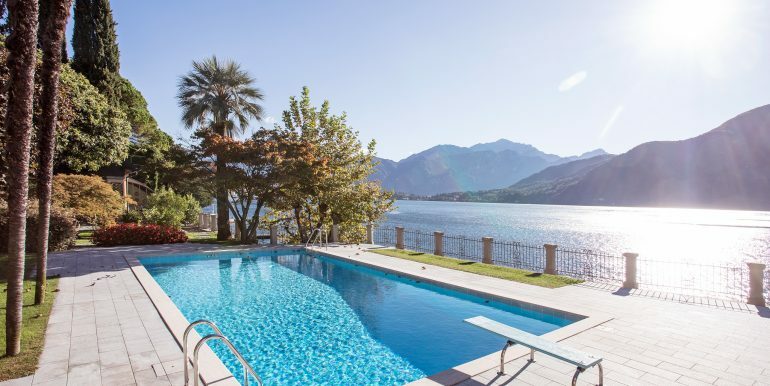 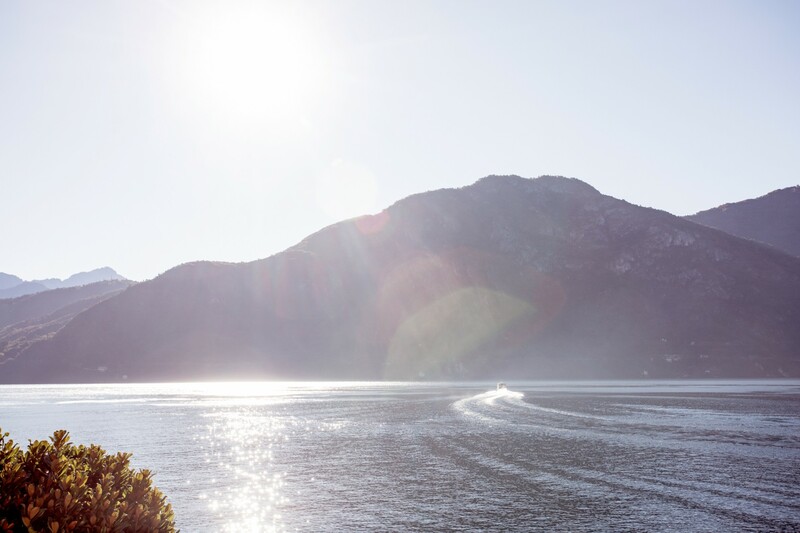 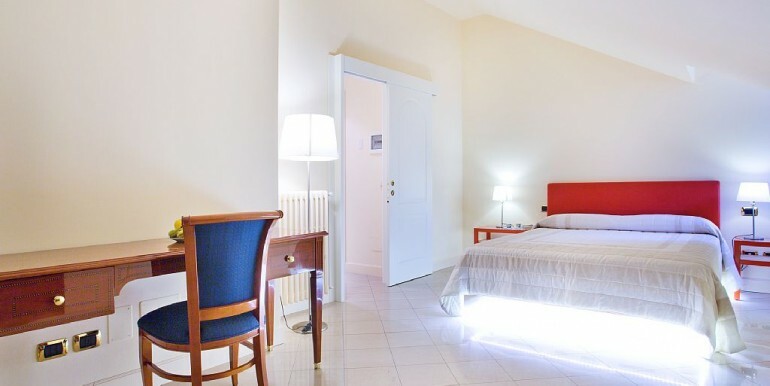 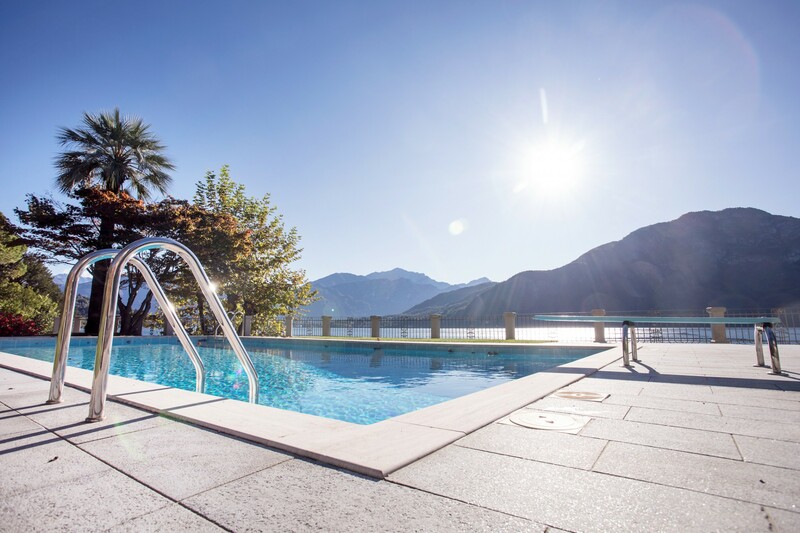 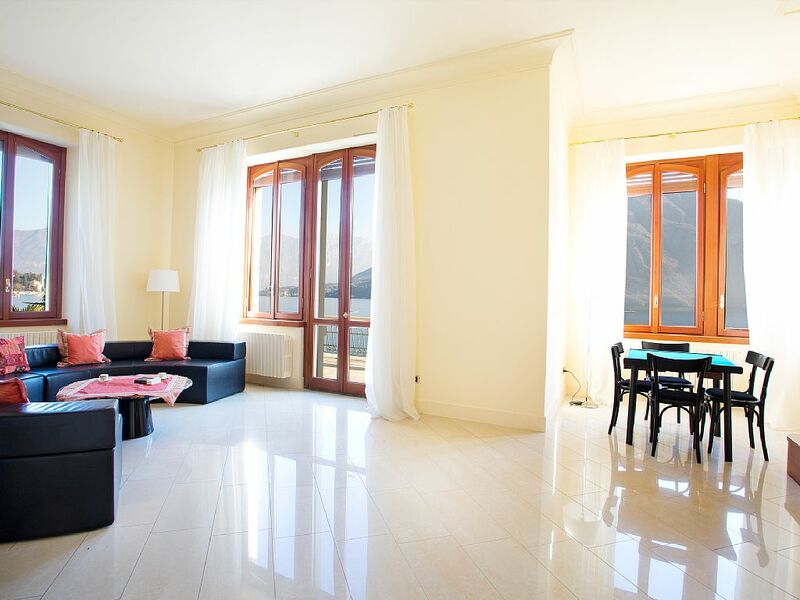 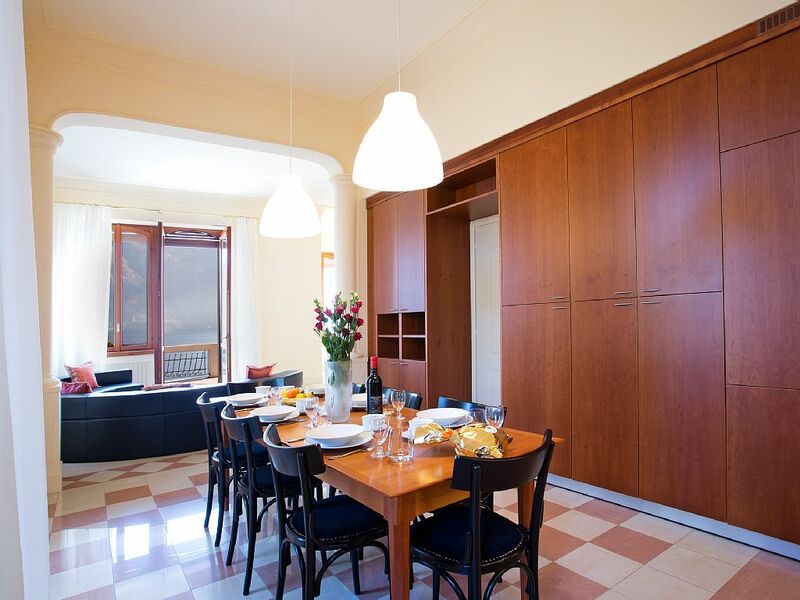 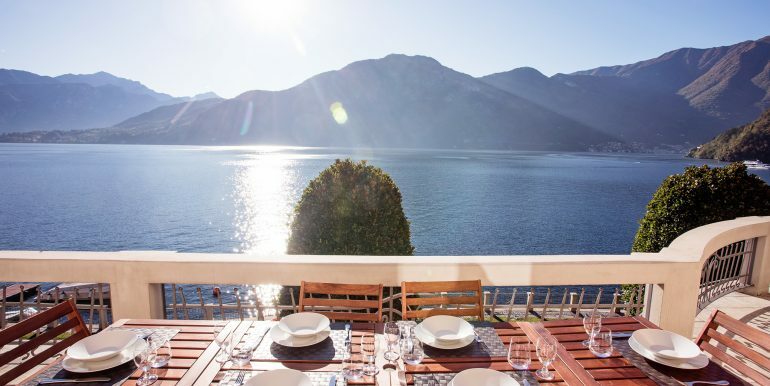 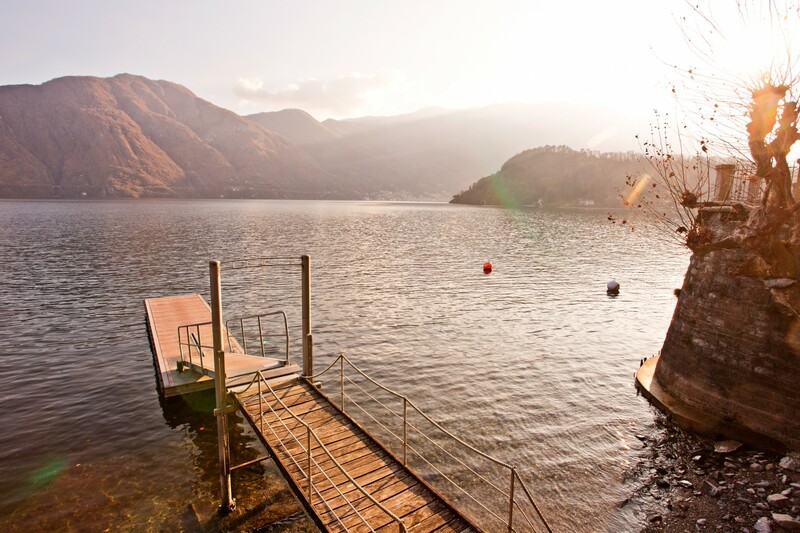 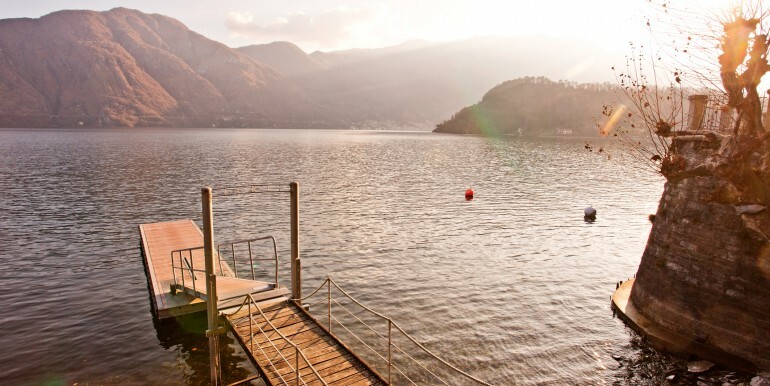 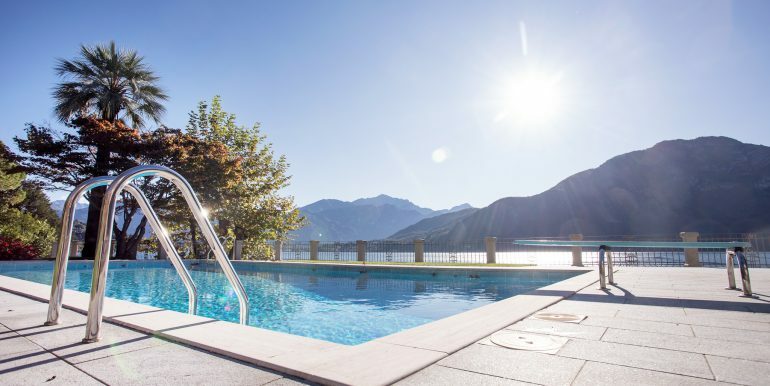 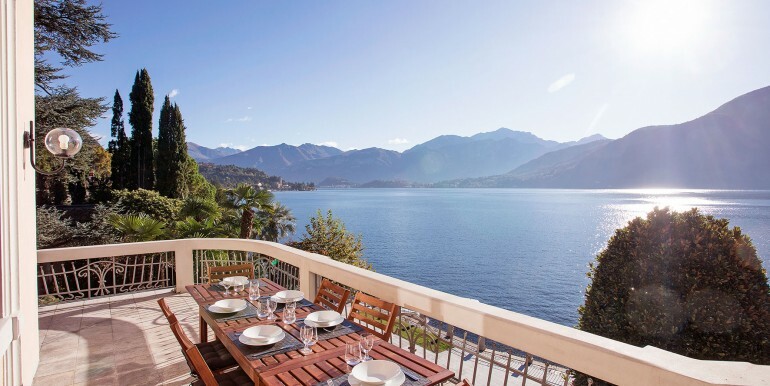 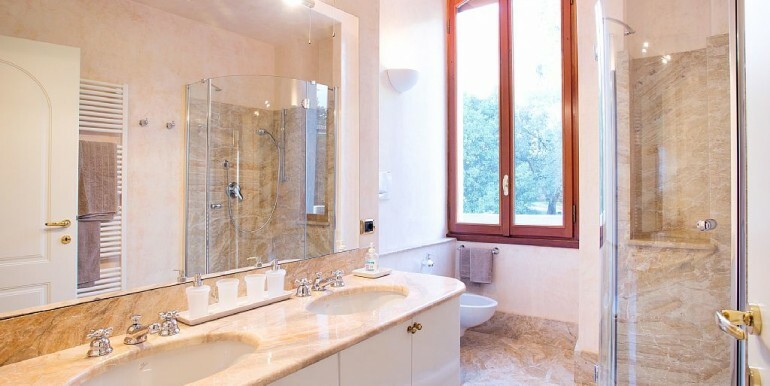 The apartment, set in a sunny position in the heart of tremezzina, the most sought after area on the lake, is located directly on the lake and features four bedrooms and four bathrooms set over two levels. 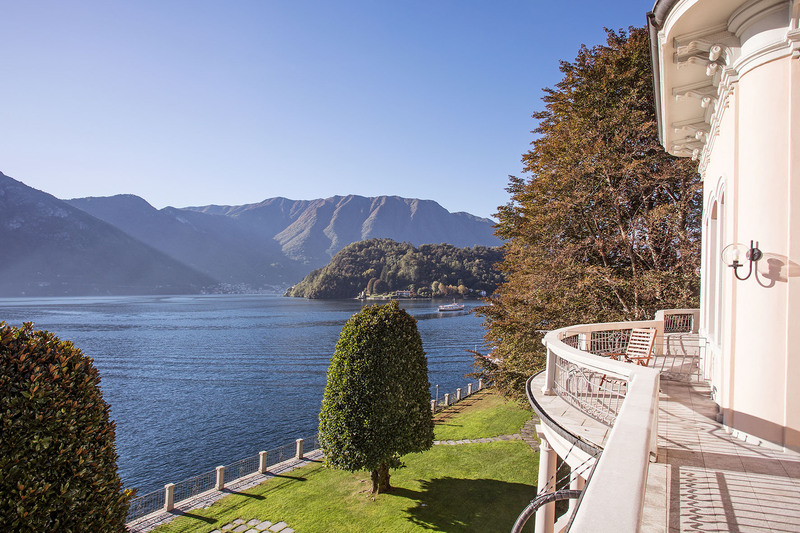 Features include a lift located inside the apartment to access the bedrooms from the living room, lakeside living inside and out from the private and spacious terrace. 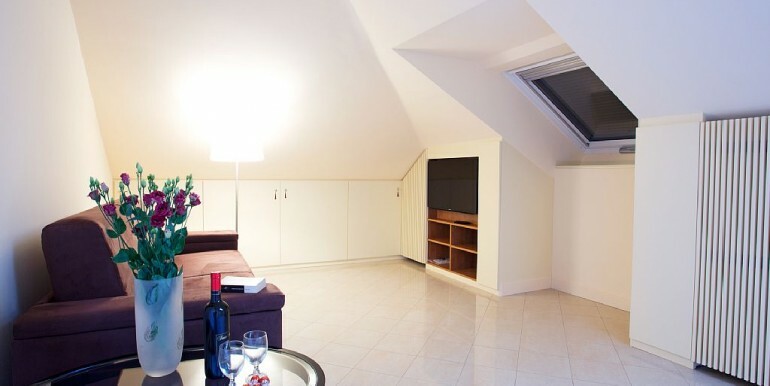 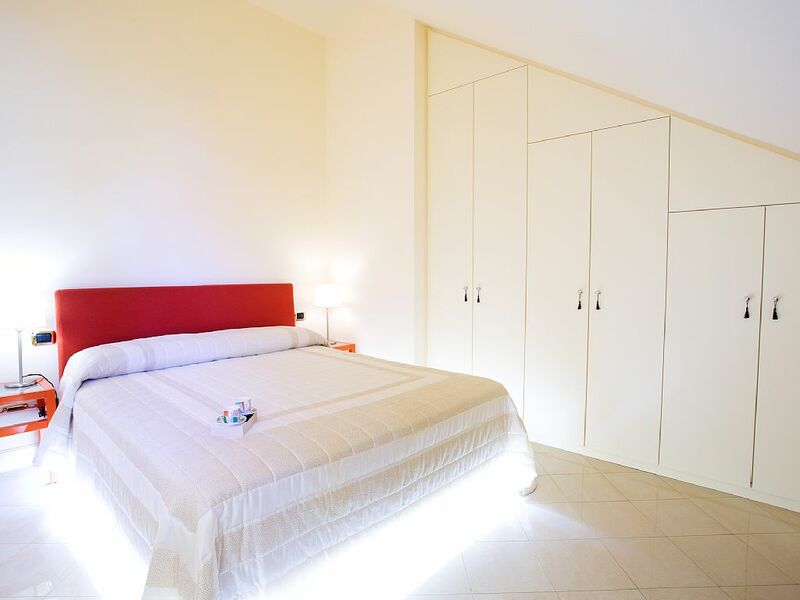 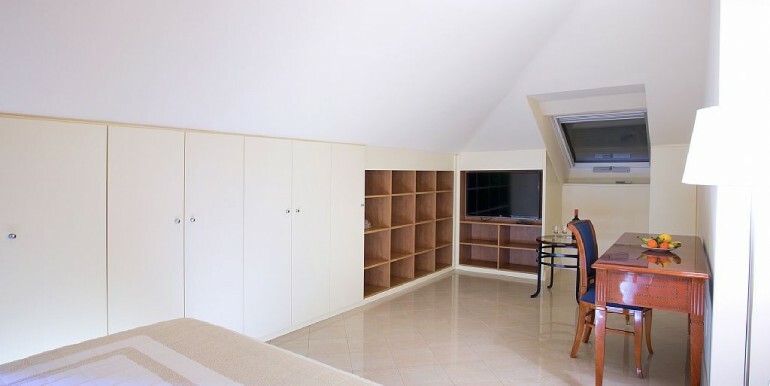 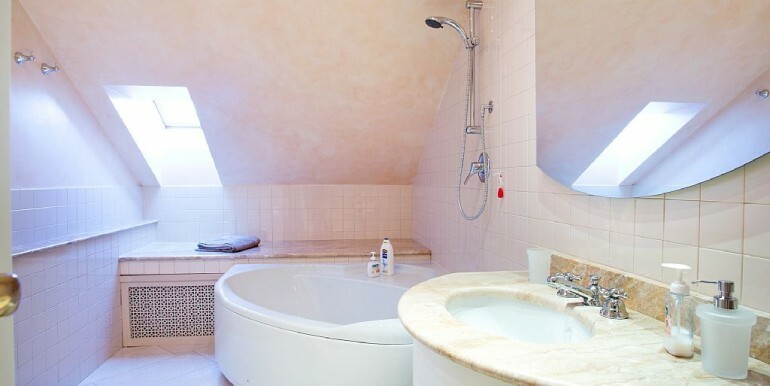 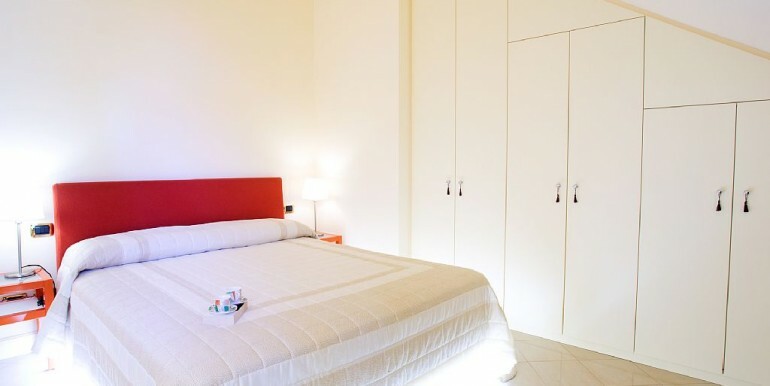 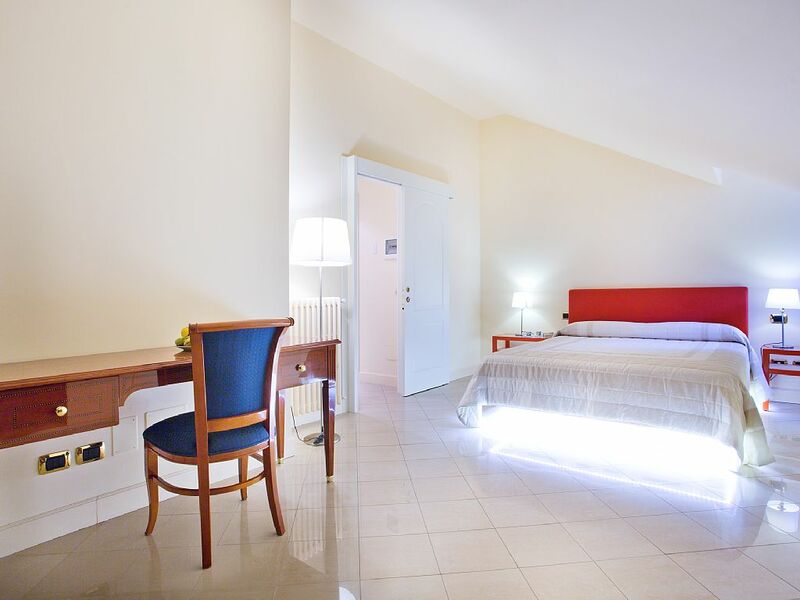 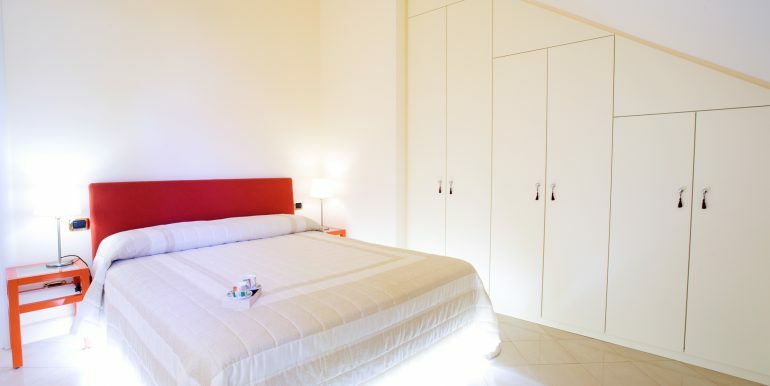 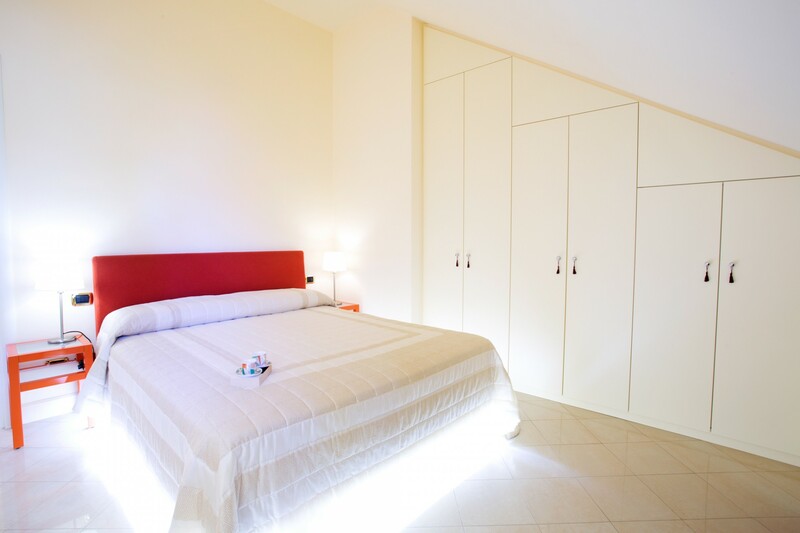 Four beautifully appointed and spacious bedrooms with two bathrooms, one of which is ensuite. 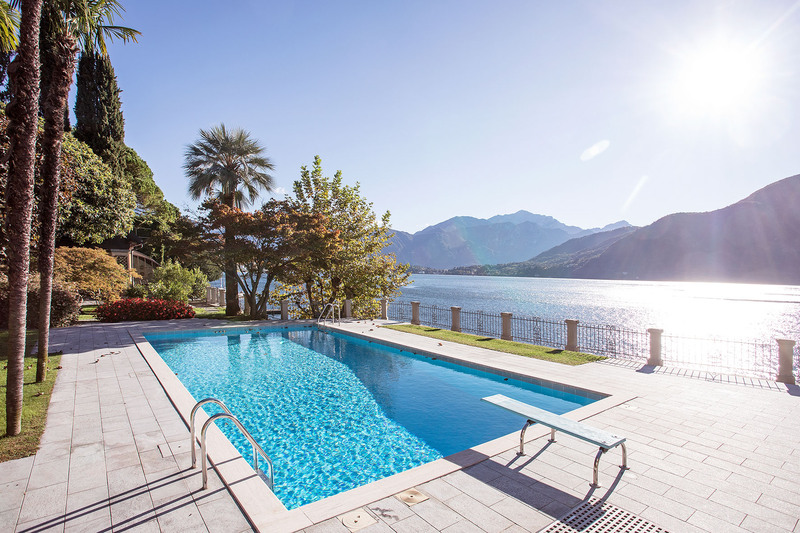 The home is nestled within acres of parkland featuring a swimming pool, darsena private boat mooring and private parking. 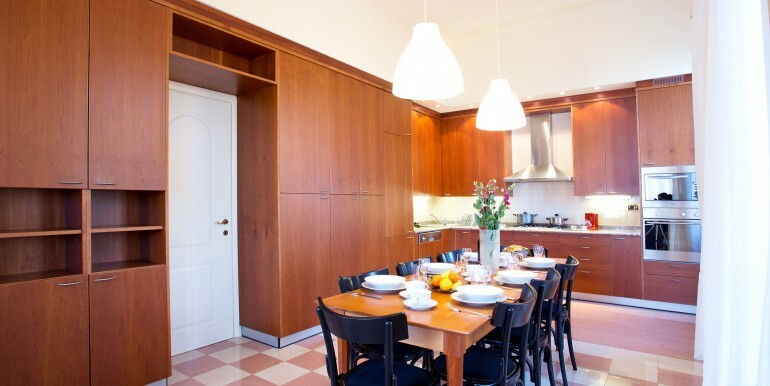 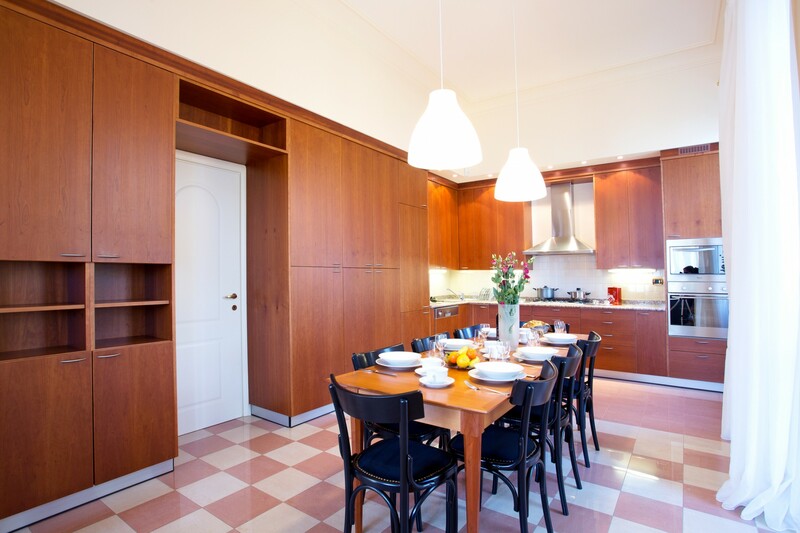 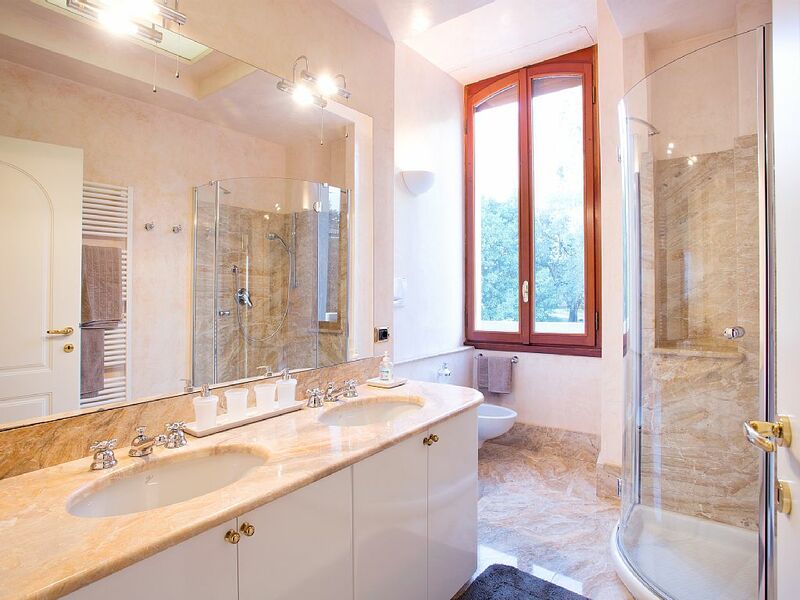 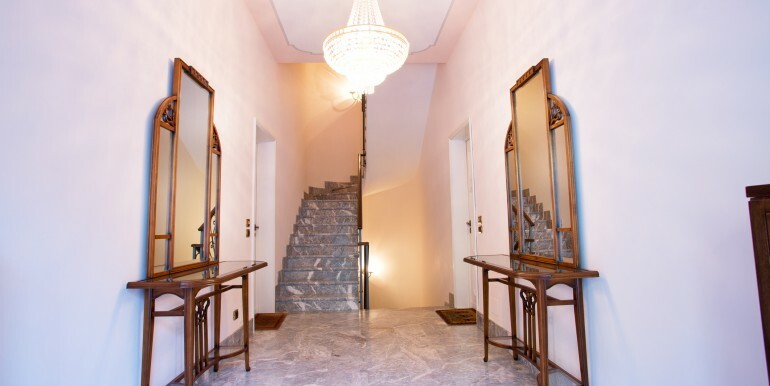 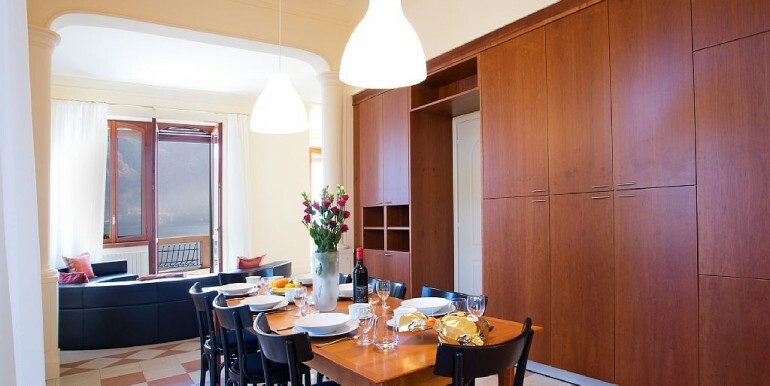 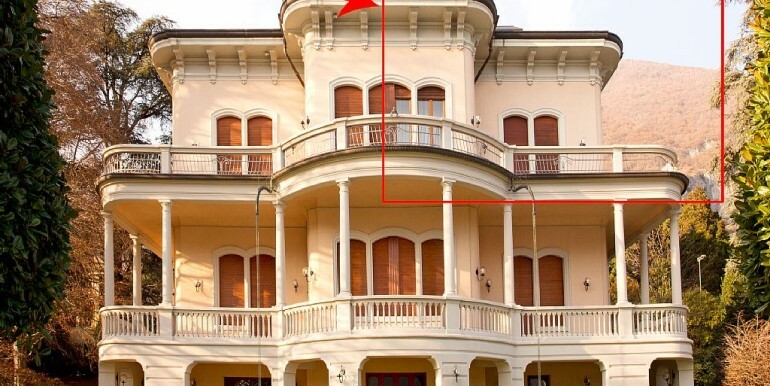 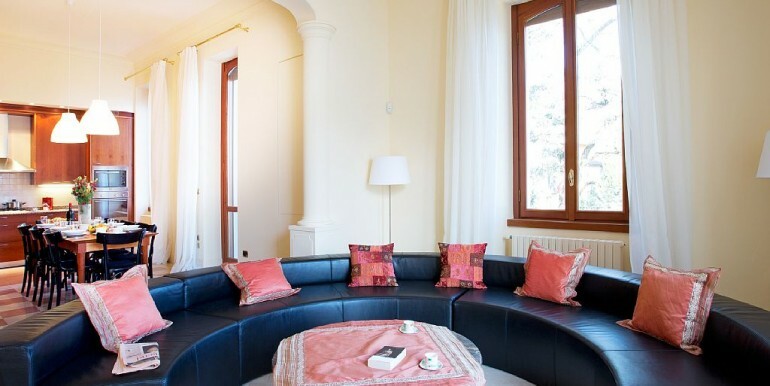 As you would expect from a villa of this standing, the home as been tastefully appointed with only the highest qualities and furnishings at every turn. 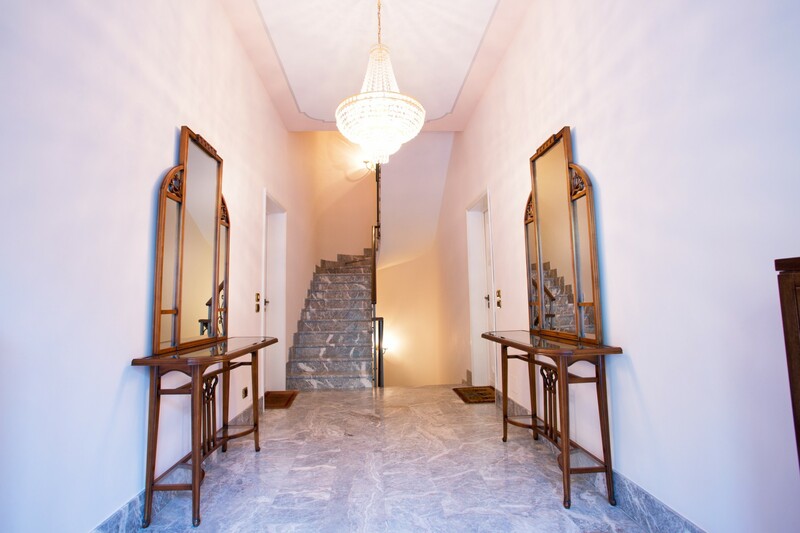 The villa is accessed from a private remote control gate with a sweeping drive to the main entrance of the villa. 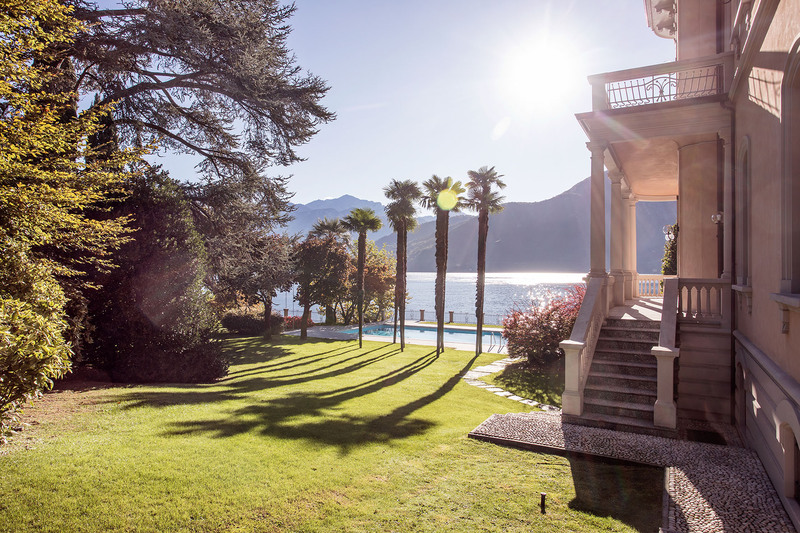 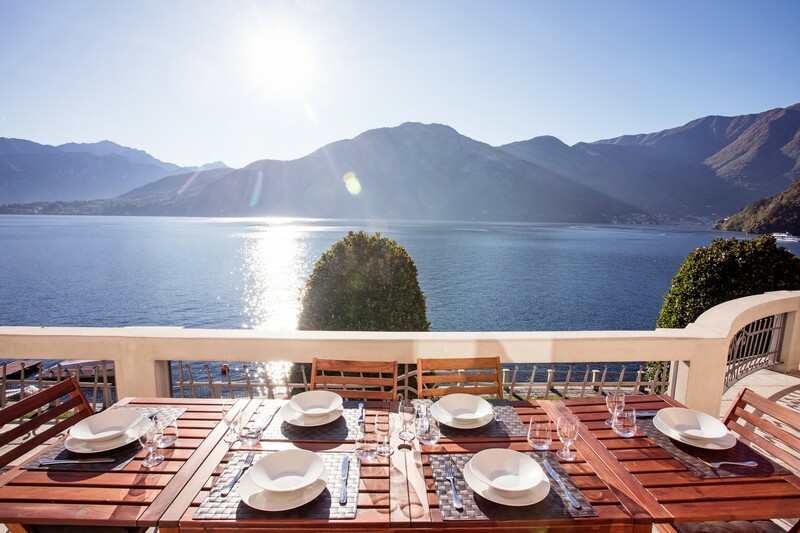 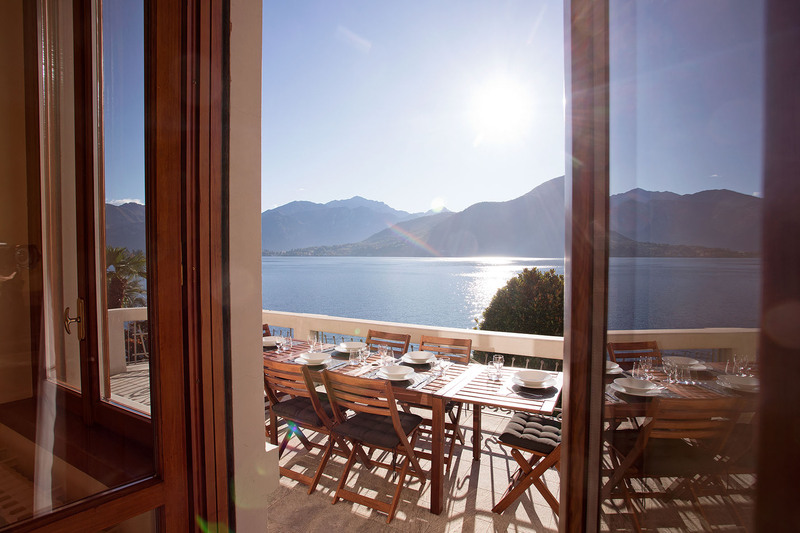 Steps inside the villa take you to the private entrance where the kitchen with all mod cons and lounge with views of the dramatic lake and mountain panorama lead to private lake view balcony with a large terrace for dining alfresco. 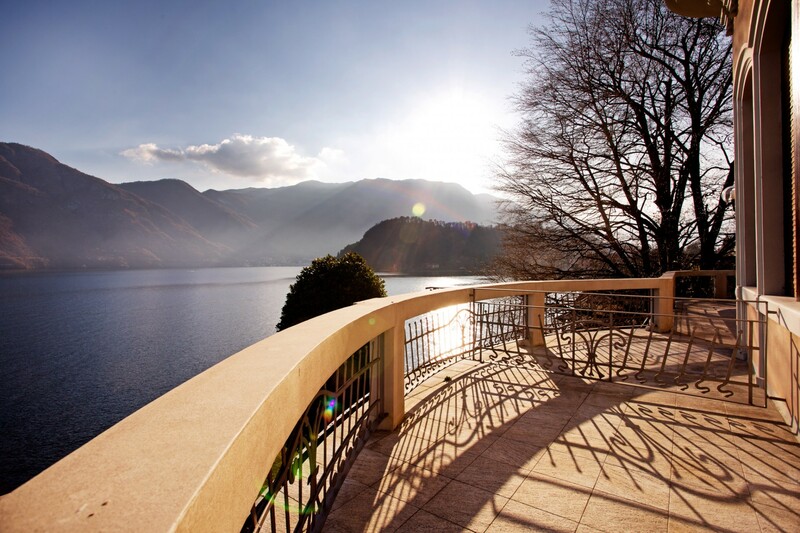 Outside the home the vast garden parkland provide plenty of space to explore the grounds whilst you take in the wonderful lake and mountain scenery. 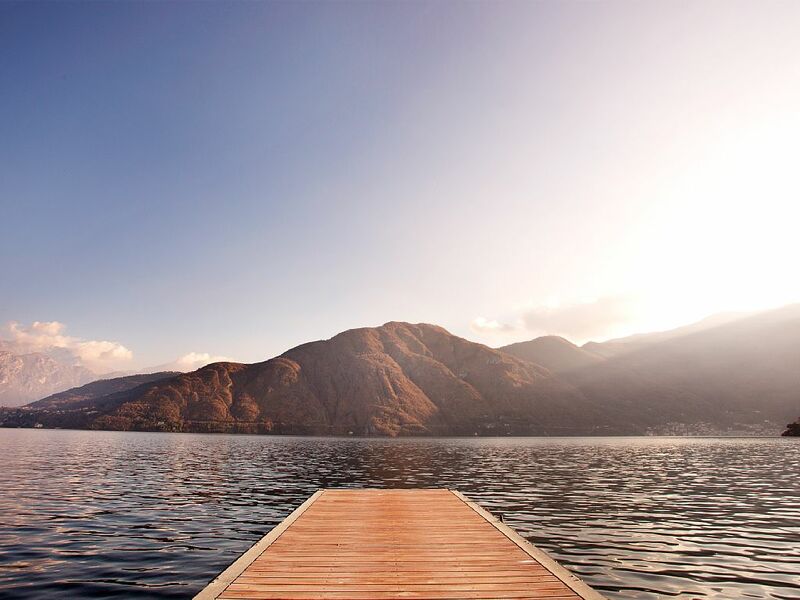 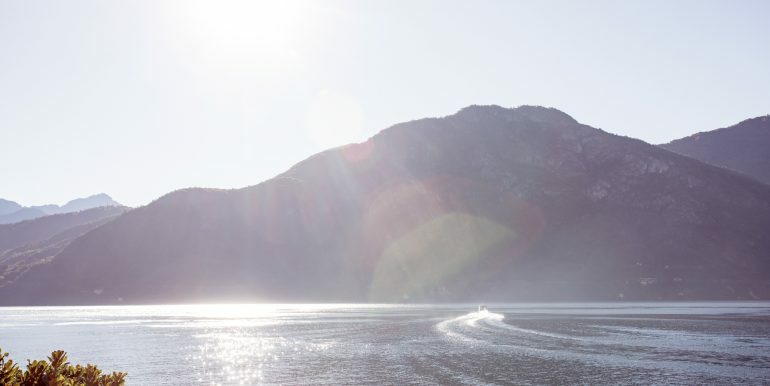 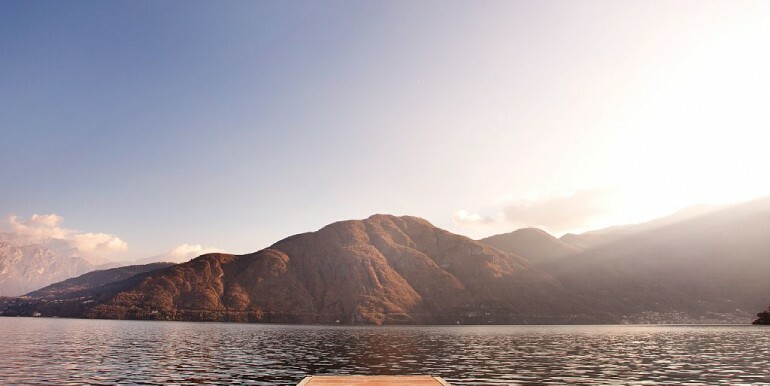 For guests who wish to bring their own boat or hire one, a private boat mooring is available to our guests at the villa. 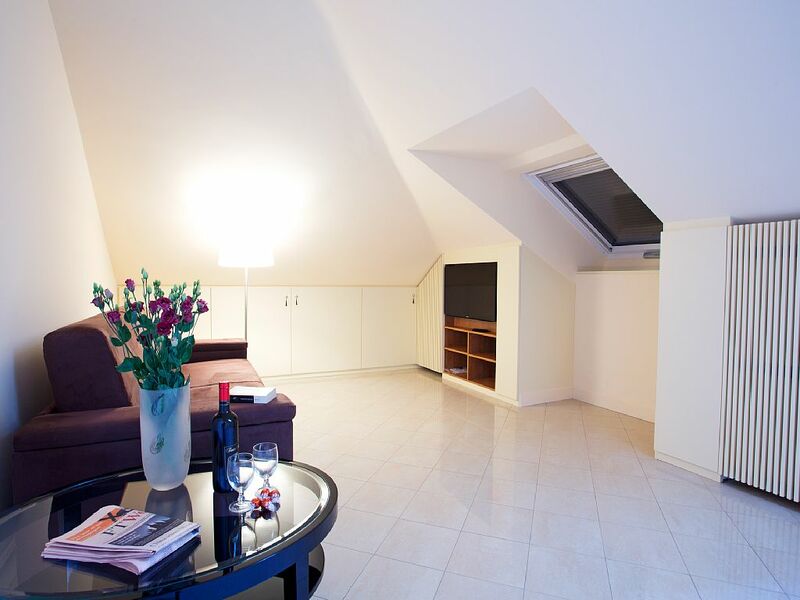 Air conditioned on top floor where three out of four bedrooms are located. 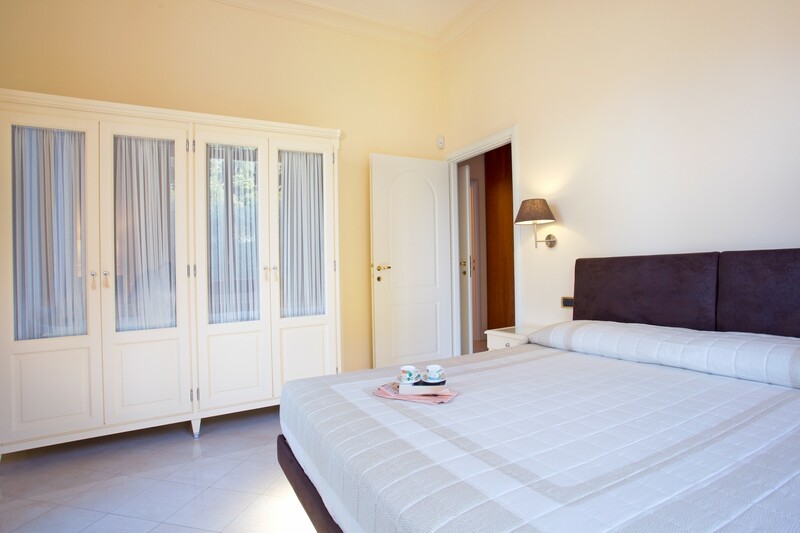 The first bedroom is located on the entrance level (first floor) with a private connecting bathroom. 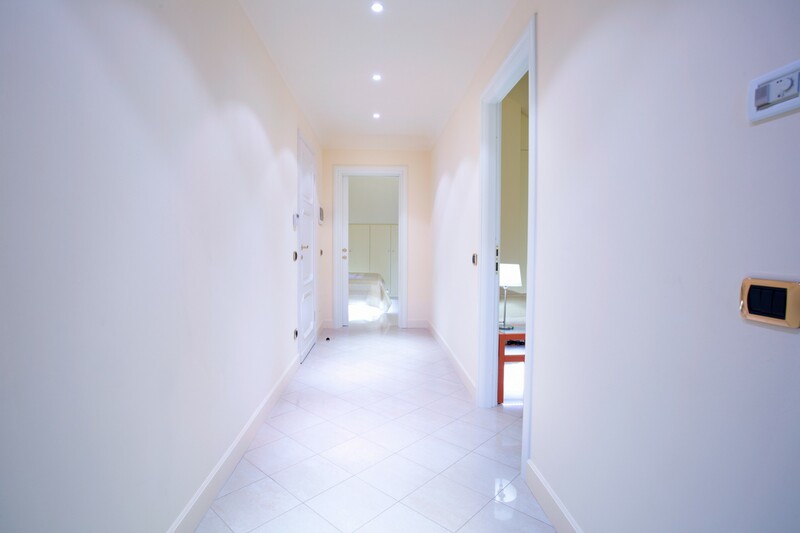 There is a lift inside the living room which takes you to the 2nd floor of the apartment or you can take the external staircase via the communal hallway to reach the main bedroom and bathroom level. 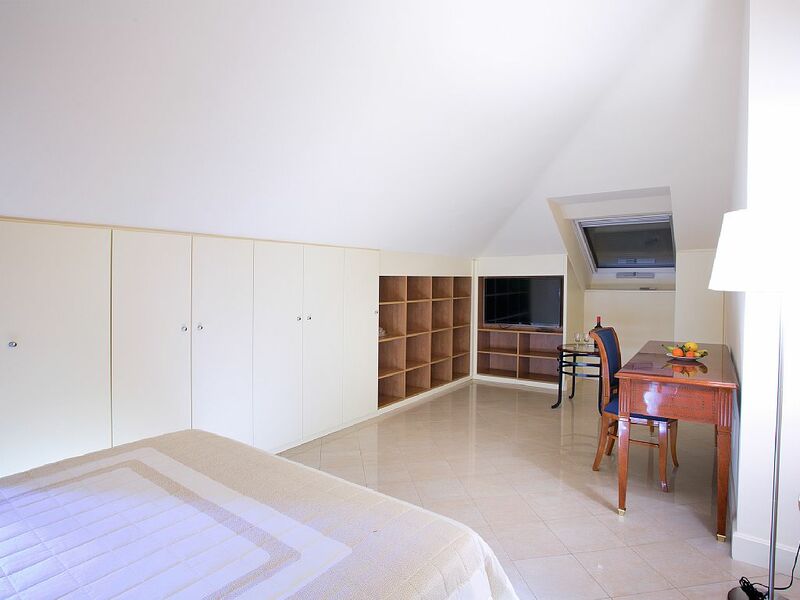 On the second floor located are three double bedrooms. 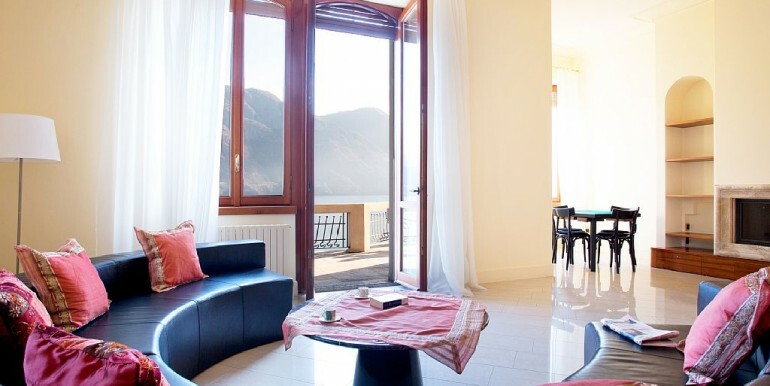 The home is set within the picturesque and authentic Italian village of Lenno which boasts all the amenities you need for a relaxing break amongst natural, unspoiled landscape, including a supermarket, pharmacy, beautiful bakeries, a gym and wine stores, boutiques and a weekly market every Tuesday. 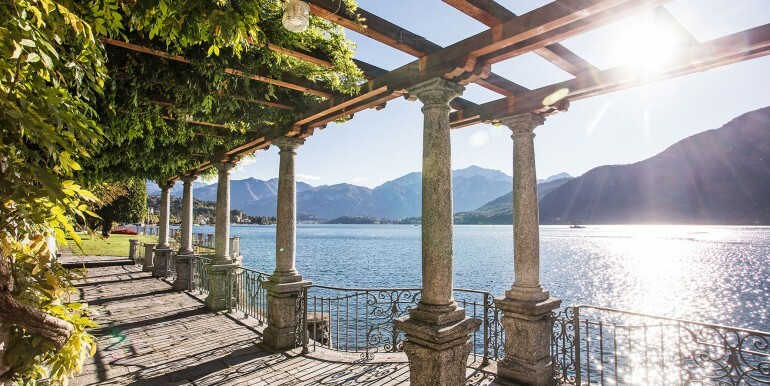 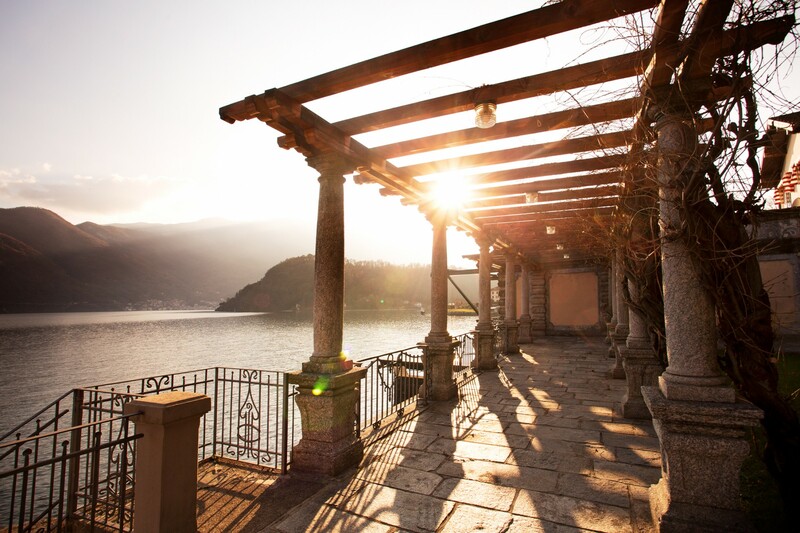 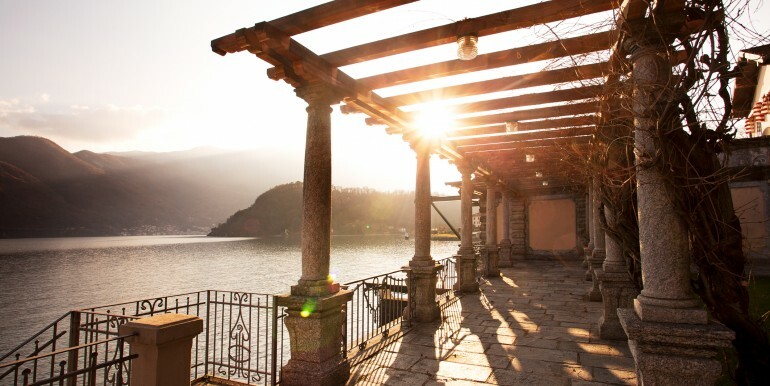 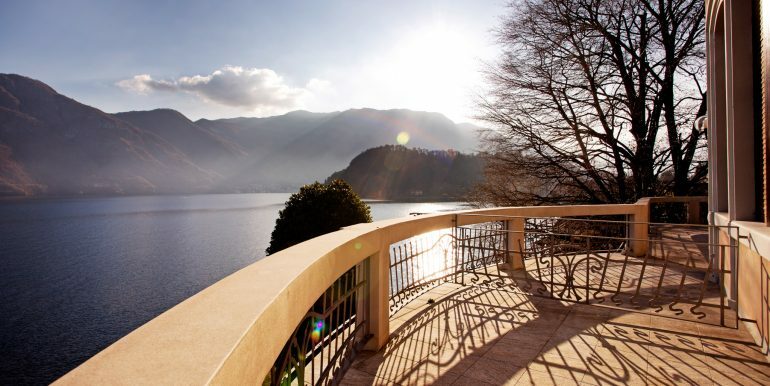 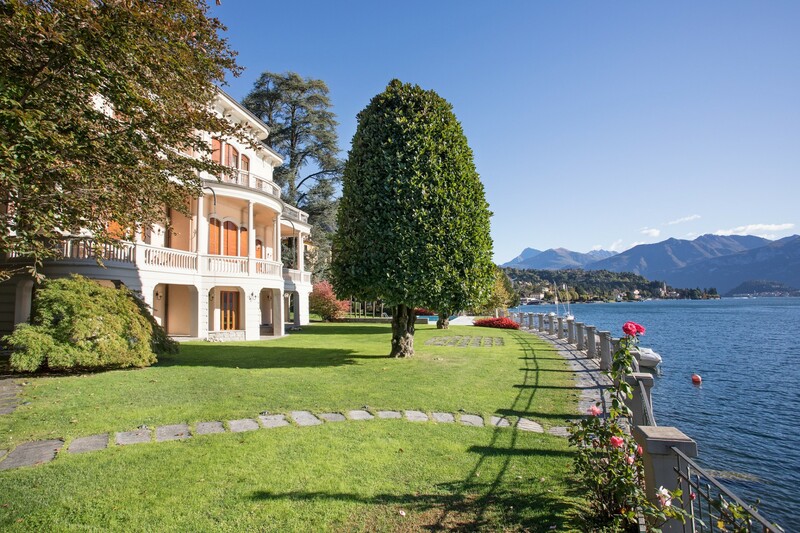 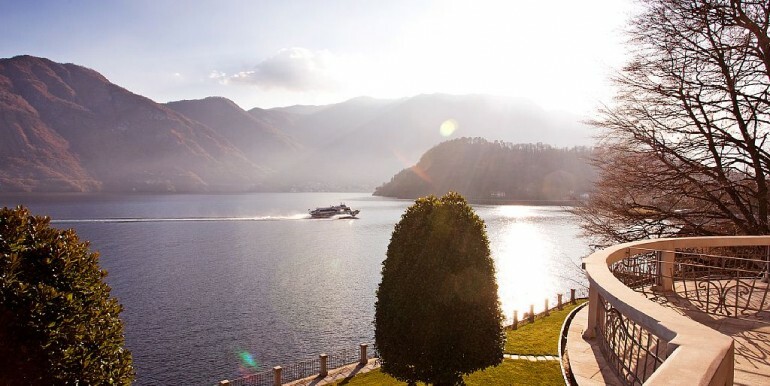 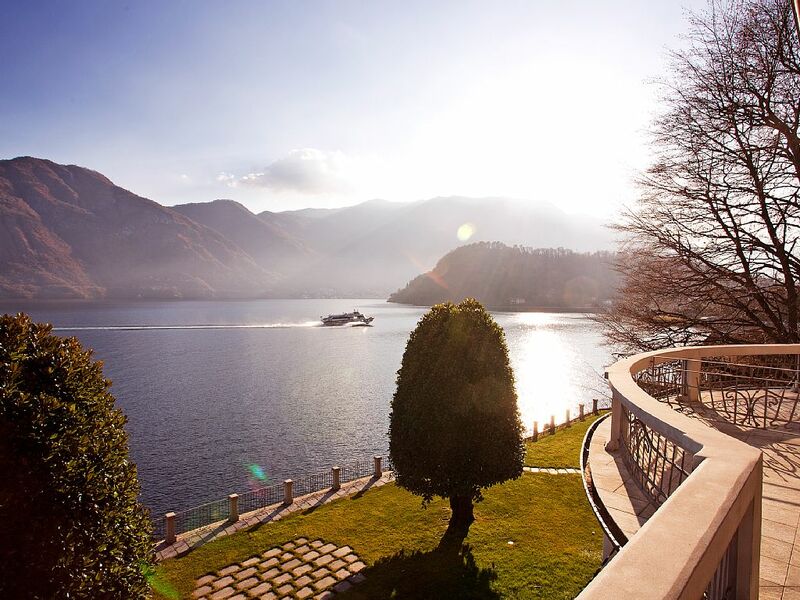 Lenno is home to Villa Balbianello arguably the most beautiful villa on the lake as featured in Star Wars and 007 Movies. 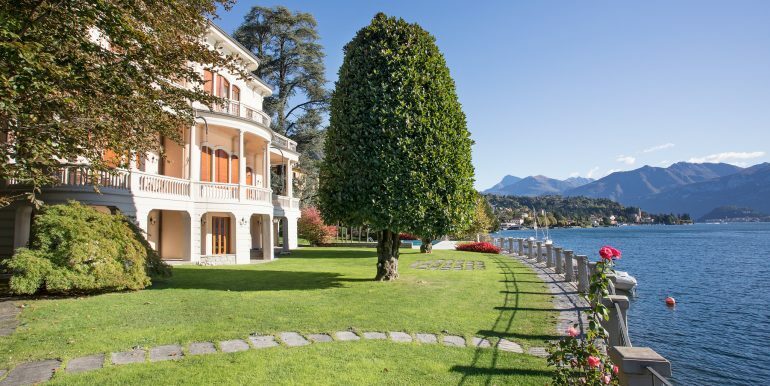 Richard Branson also has a holiday home located close by. 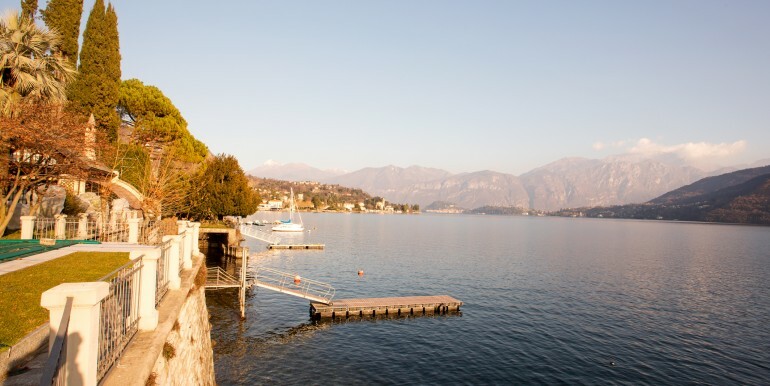 The ferry port located close to the villa accesses the whole lake including many of the popular more touristy villages. 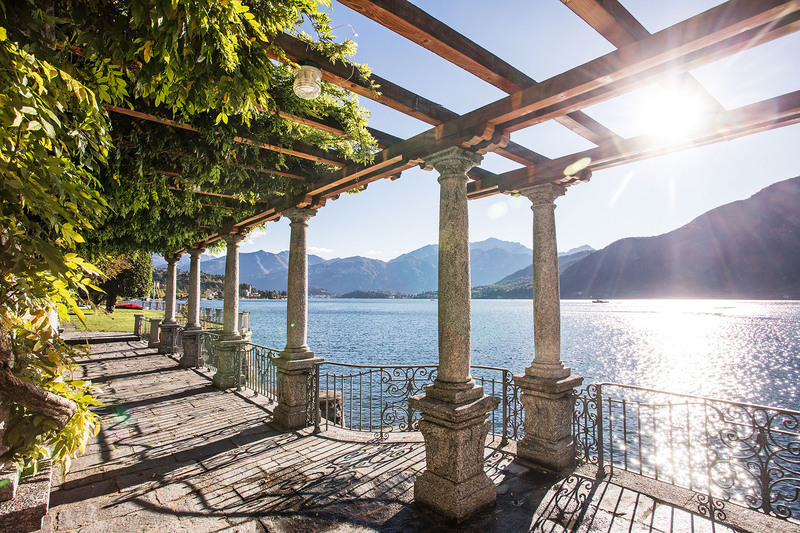 Living and working here we will be only to pleased to share our local knowledge and experience for you to enjoy local hidden gems and secret places the local Italians frequent including authentic restaurants, cafe and wine bars. 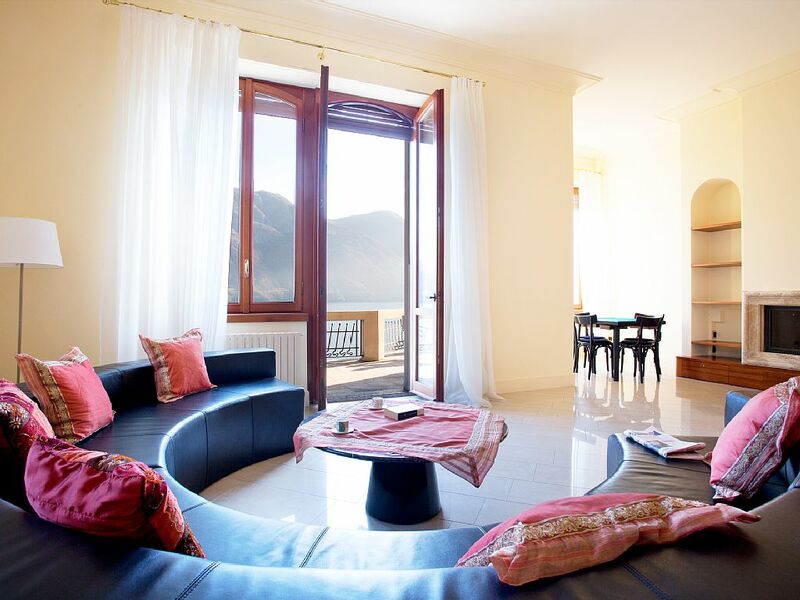 We are also happy to source local wine and delicacies for you to enjoy on arrival from regional cheeses and extra virgin oil etc made here in the village as well as a private chef, bookings required ahead of arrival.